If someone isn’t familiar with the concept, why should people seek out fair trade coffee and shop local when buying their morning coffee? Many places these days are offering fair trade goods where the producers in developing countries are paid fair prices for these goods, especially coffee, but shopping local makes the biggest difference. As a small business, we don&apos;t always have the resources to have the most clever marketing campaign or trendiest slogan. We try to provide a great experience for every customer by focusing on service, presentation and cleanliness. You won&apos;t get the service we offer at one of the "chains!" What seasonal offerings should we try at Fair Trade right now? Our in-house baked goods, such as vegan zucchini muffins, vegan peanut butter bars and brownies, are always favorites. Spring is coming and we brew and keg our own cold brew and nitro coffee which we serve on tap! We get lots of compliments on our friendly and outgoing staff. We try to keep a fun atmosphere for our employees that is contagious to our customers! Tell us more about your coffee take-out and private party options. We just recently partnered with EatStreet for take-out and delivery. We are always open to private parties and other events and encourage interested parties to contact us! Being an independently owned business gives us the flexibility to allow for unique events. What’s the most popular specialty drink? Our in-house made Chai is a favorite for Chai tea lattes, and people really love the Grasshopper mocha! Many people do not realize that we have an intimate and landscaped outdoor seating area that seats 8­­­–10 people at the rear of the cafe. We will be adding more elements to improve the ambiance this spring. 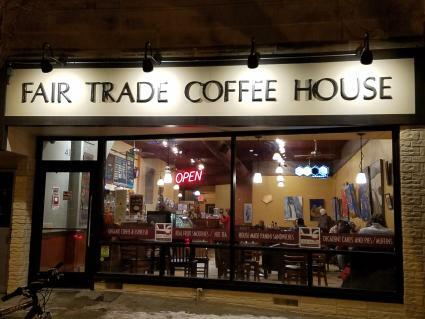 Fair Trade Coffee House is located at 418 State Street and is open daily from 8 a.m.–10 p.m.
Capital Brewery and Bier Garten has an indoor Bier Stube and a large outdoor Bier Garten (a.k.a. &apos;Middleton&apos;s Backyard&apos;) that is host to live music and events throughout the year. Death&apos;s Door Distillery is the largest craft spirits distillery in Wisconsin and one of the largest in the Midwest, producing gin, vodka and whiskey. The Hilton Garden Inn Sun Prairie is a sophisticated destination offering abundant meeting space, the award-winning Johnny&apos;s Italian Steakhouse and a relaxing guest experience. Learn about mustard’s history and laugh in the museum. Taste and learn how to use mustard at the Ultimate Tasting Bar in the Gourmet Gift Shop. 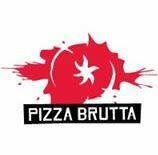 Pizza Brutta makes Neapolitan pizza in a wood oven with handmade fresh mozzarella from local mozzarella curd. Meat and toppings are sourced from local producers whenever possible. Serrv features fair trade decor, apparel, accessories and specialty foods from around the world. Your purchase empowers global artisans and farmers to earn a fair living from their work.